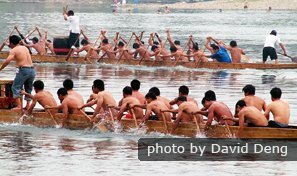 Yueyang International Dragon Boat Festival is held in Yueyang Prefecture, and lasts for 3 days around Dragon Boat Festival or Duanwu Festival (June 7-9, 2019). Under the support of China’s State Sports Commission and National Tourism Administration, Yueyang has held the International Dragon Boat Festival each year since 1987. It perfectly combines sport, culture, trade and tourism as one, and it’s recognized as one of "the 23 festivals open to the global market in China". There are wonderful activities and dragon boat races everyday. 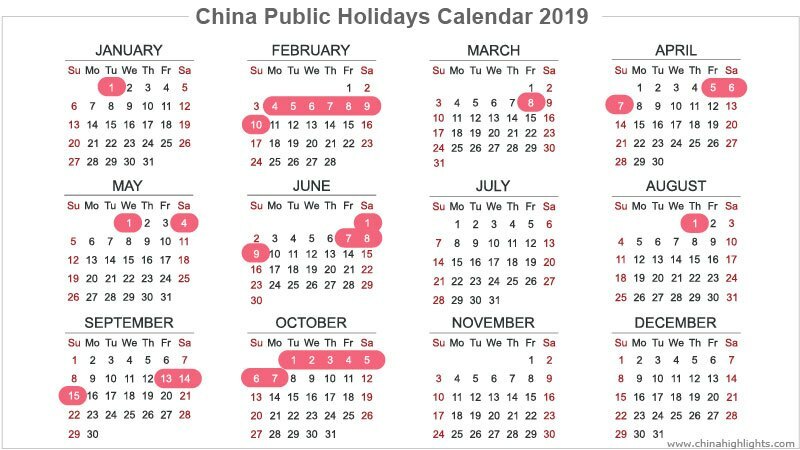 There are seminars on international Qu Yuan culture, painting and calligraphy exhibitions in memory of Qu Yuan, the opening ceremony, the International Dragon Boat Contest, an international food festival, a sacrifice ceremony to Qu Yuan and trade activities. 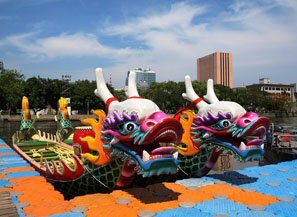 During the Dragon Boat Festival you can not only enjoy the dragon boat races, but also watch motorboats, paragliding, and local traditional performances. 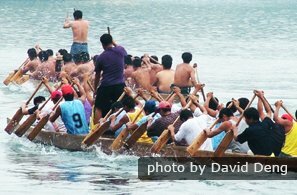 Learn more on Dragon Boat Festival Traditions. Yueyang used to be called Ba Ling or Yue State in ancient China. It is a cultural city with over 2,500 years of history, and is located in northeast Hunan Province. The prefecture is surrounded by Hubei and Jiangxi Provinces. Yueyang has convenient transportation and beautiful scenery. Miluo County south of Yueyang city, holds the Miluo River, where it is said that patriotic poet Qu Yuan drowned himself. You can take a train to Miluo River. There are 13 daily trains running to Muluo County from Yueyang City. The trip takes about an hour and costs about 10 yuan. Or you can also take a bus from Yueyang, it costs about 15 yuan. 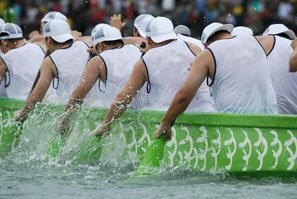 If you want to see the Dragon boat racing, China Highlights can help you customize a tour in China according to your interests and requirements. Contact us and tell us what you need.